Silay city is one of the city here in Negros Occidental and one of the example that tourist destination. 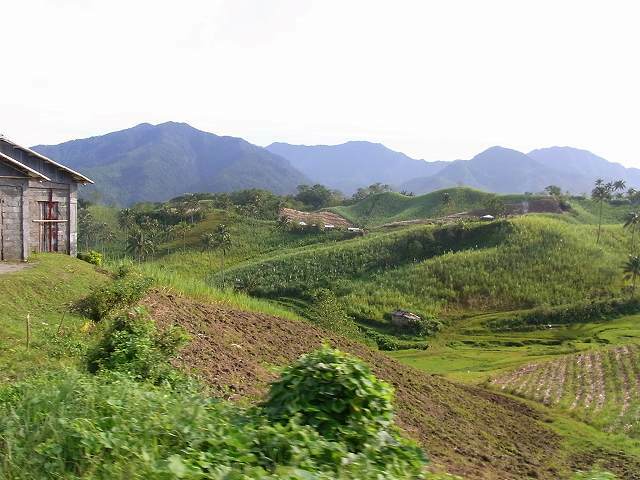 Negros Occidental have a many city like Sipalay, Bago, Kabangkalan and Silay. These are only the examples of the cities in Negros Occ. Ikaw-Ako Foundation has some cites for mangrove planting and tree planting in these cities of Negros Occ. They are simple but amazing places with wonderful nature. 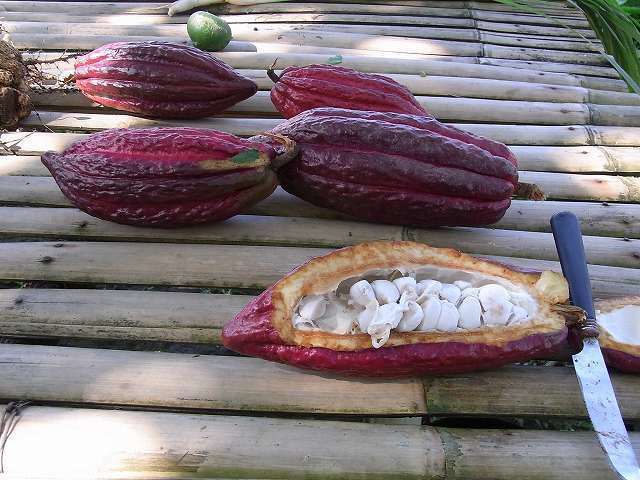 You can find not only the natures but also a delicious food there. 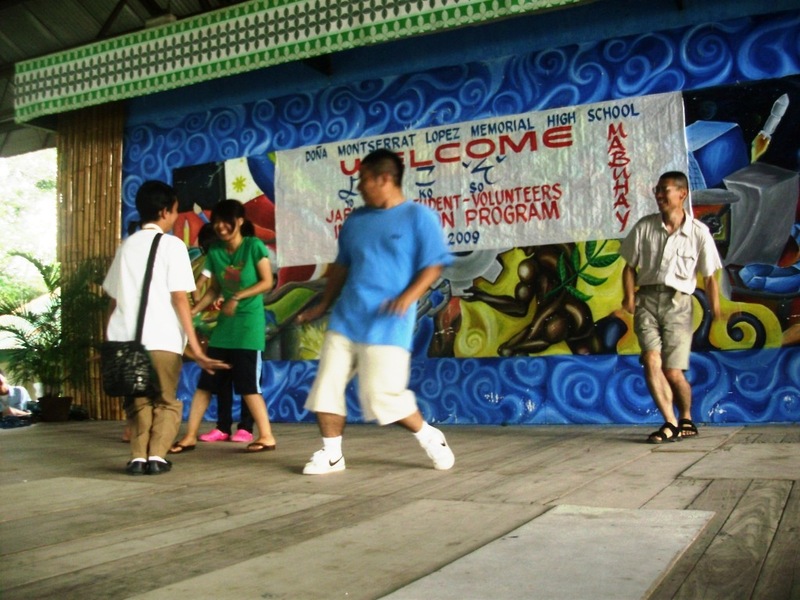 If you are here in Negros, you can mingle to the Negros people, and judge what are their ability, character, and talent. 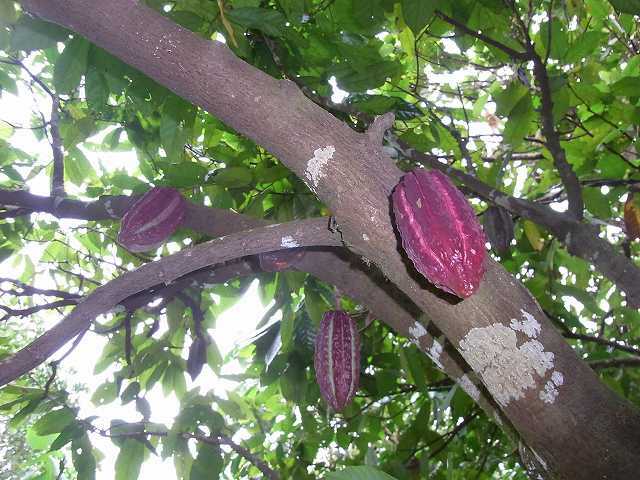 The source of income from work of people are planting sugarcane, farming and fishing. This is the popular work here in Negros. What is attractive for tourist is that they can relax and have a rest and appreciate the nature. This is because of the all the wonderful tourist path. 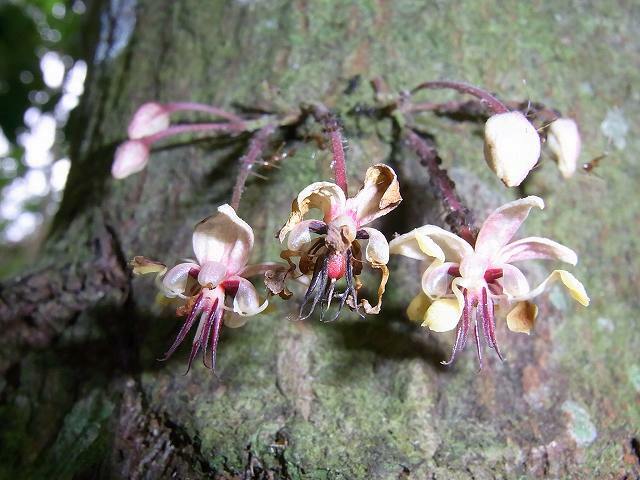 Negros occidental people are proud of their own city, because of the beauty of nature and the place. 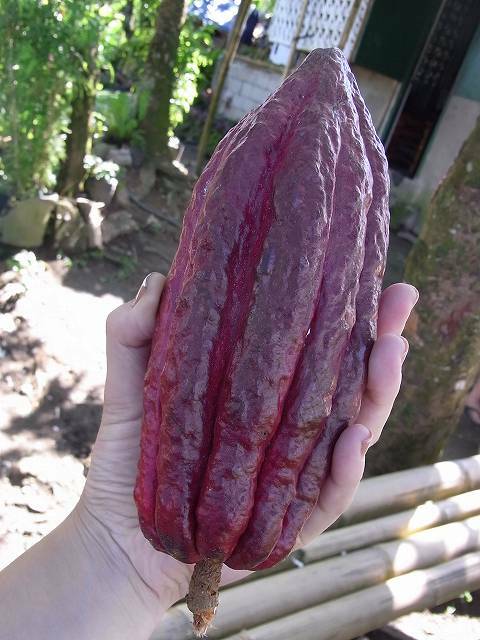 Negros occidental have many product to export abroad, such as fly candy mango sugar, and other native products and also the recycled plastic bag and paper jewelry. The education, culture, beliefs, and religions are different from other countries. So if you want to see the other world, just come here and read the following information in tour which is started August 18 to 25 with IKAW-AKO and government of Silay city. This is the tour started from 18th to 25th. 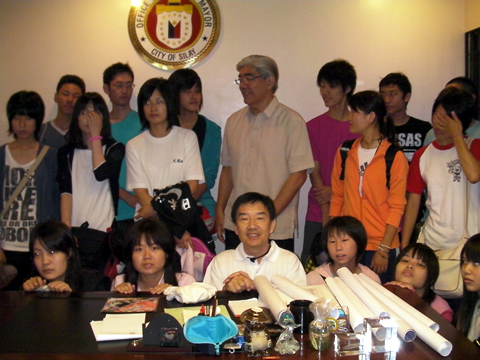 This day was all about arrival of 21 Japanese students, one teacher and Mr. Yorihisa Goto, director of IKAW-AKO Foundation. All Japanese arrived at Silay airport are 23 people. This tour was looked excited for them because this is the first time for most of them to come here. In Silay, at 6:30 p.m, the government staff, the staffs of IKAW-AKO, and facilitator came to Silay Bacolod Airport to pick up them. At 6:45, they arrived. Although they looked tired by all the way traveling, I found full of happiness in their face to see the beauty of Negros Occidental and Silay City. But they also must have missed their friends and families. They went to Baldevia Pension House to put their things, to take a rest for a while and to freshen up themselves. In a few minutes, they proceed to the bus to go in Tama plaza to have dinner with the staffs, old facilitators, friends, and visitors. After dinner, all of them introduced themselves. 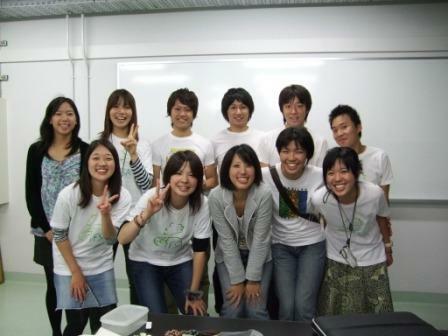 Not only Japanese volunteers but also all staffs introduced themselves. Also they got a name tag each so that it is easy to call each other. At 8:30pm, they went back to their pension house. Most of members were very tired because their travel to Silay was very long. So they went to bed early with expectation and anxiety for these coming programs. This day’s main program is mangrove planting in Cauayan which is far from Silay City. But first of all, they went to Silay city hall to have courtesy call to the mayor Oti Montelibano after the breakfast. All of them received a welcome from the mayor and other government staffs. After that, they proceeded to Cauayan. On the way of there, they could see a lot of wonderful places and the beauty of nature. It was very long trip to go there from Silay, so they had a lunch at D’ Max in Kabangkalan City around 12:00pm. They must have been tired but they were very enjoying this travel. After they had lunch, they continued traveling for Cauayan. We could see their happy smile all the time. 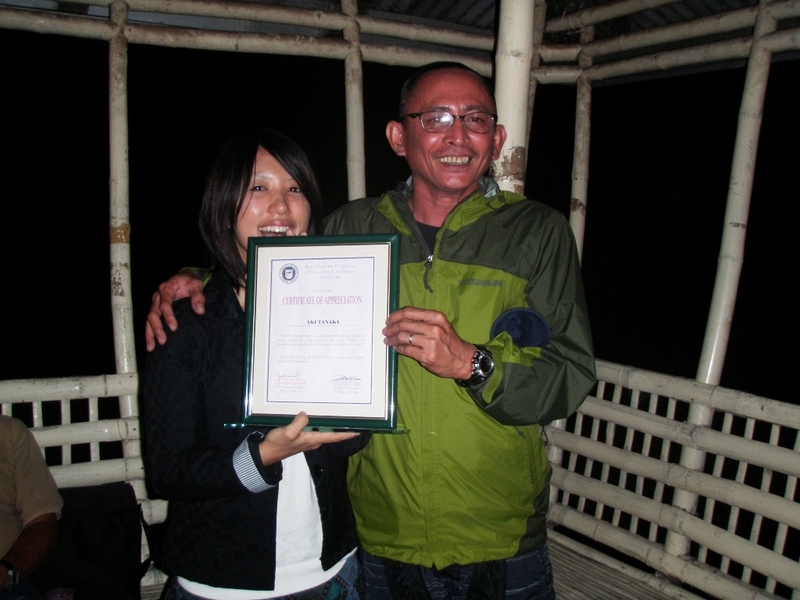 They enjoyed traveling with a lot of wonderful places and nature like a beautiful sea and rice plantation. At 2:30pm, they stopped in Caliling high school to have an interaction with the Japanese volunteers and students in this school. 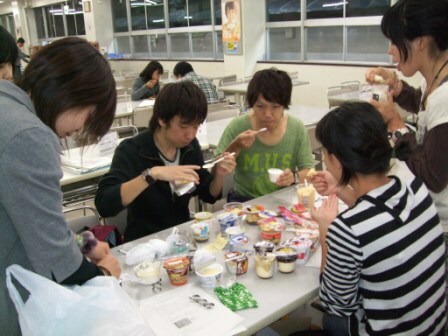 They enjoyed very much in this activity because the performance of the students was very funny. First the 4th year students gave them a performance, so after that Japanese volunteer went in front of stage to give the students thanks and an intermission. 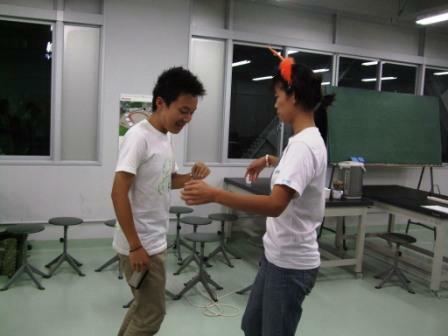 It was very simple dance but they could enjoy that dance with students together. After this interaction, they proceeded to a planting site in the part of Calling of Cauayan at 4pm. 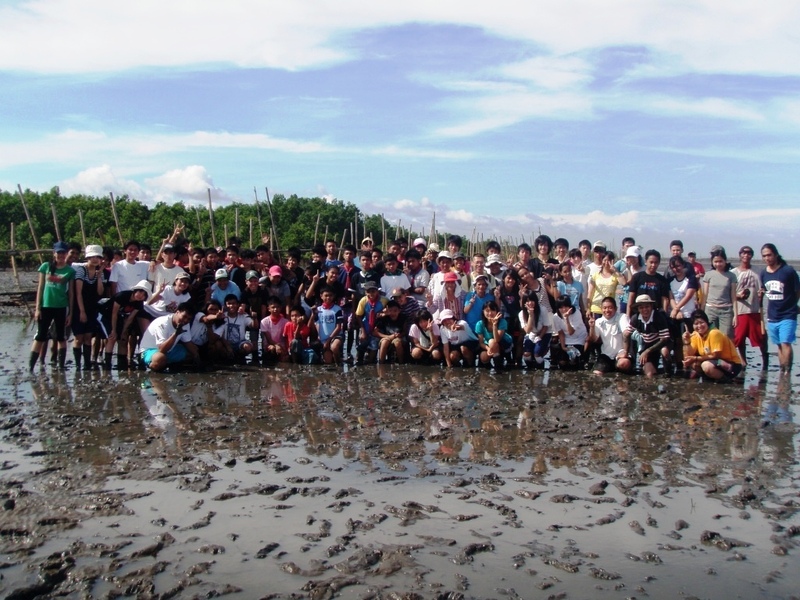 They planted mangrove for 2 hours with the students and the teachers. Then they went to Sea Mystic where they stay for one night. They also ate dinner there. They enjoyed talking about their experience of the second day in the Philippines and the beautiful sky with full of the stars. Around at 9pm, they went back to their own room to take a rest and prepare themselves for tomorrow with good memories. 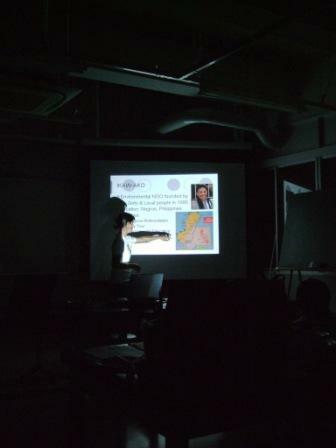 Today’s program was to go to Danjugan island. This island is famous for a lot of colorful fish and shells under the water. They could wake up with very nice and comfortable feeling because Sea Mystic, the hotel they stayed was so nice. After breakfast and preparation, they proceeded to Danjugan island at around 9:30am. To reach this island, they needed to take a boat. They could see the water going inside this island, a lot of fish. First, Ikaw-Ako staff explained about this island and Japanese volunteers took a rest so that they could know where they could swim and dive and where they could see a lot of fish. To get into the Danjugan island, they have to have permission and a guide so that the beautifulness of this island can be kept. After they ate lunch and took a rest for a while, they went swimming in the sea and trekking in this island. They enjoyed very much. All of them looked happy there and it was the first time for them to see these beautiful sea and fish under the sea. Then they went back to the place they would stay this night, took a bath and changed their clothes. Again, they enjoyed so much but also they got tired, so they took a rest. Dinner time was around at 6pm. After dinner, all of them went to the sea side and talked and talked. 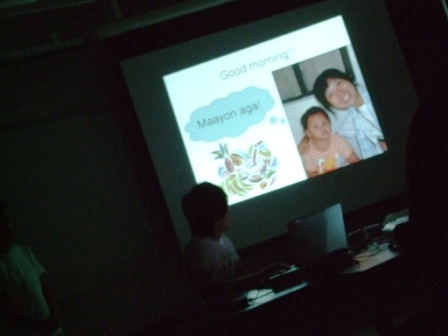 Mr. Goto, director of Ikaw-Ako had a lecture about love and students also discussed about love. One story was a sad love story when Mr. Goto was a teenager. Then they went to bed with happy feelings. 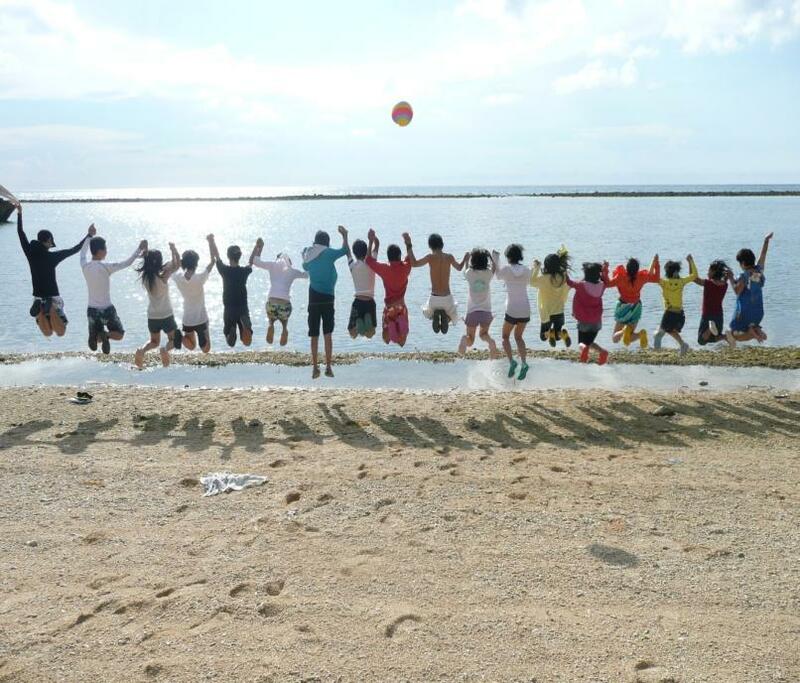 This day, they had to say good-bye to Danjugan island and they proceeded to Sipalay to plant mangrove. After breakfast around 7am, they still had time to go diving, swimming and trekking in the Danjugan island. 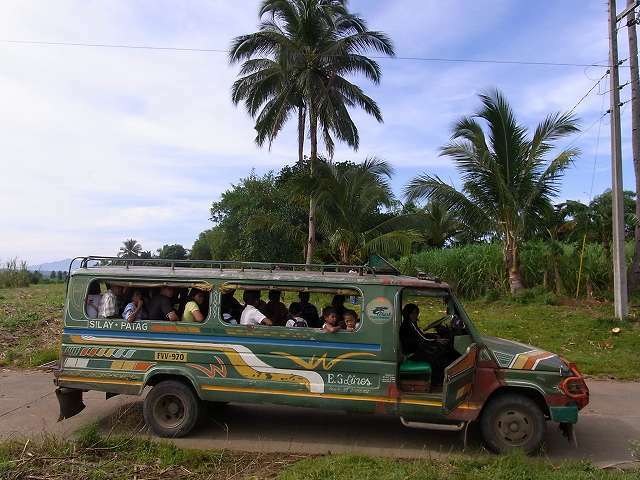 Around 10:30am, they went back to the cottage and prepared for the next travel to Brgy. Cayhagan, Sipalay. They needed to take a boat again to proceed other place. All of them missed this beautiful island. They proceeded to Cayhagan, and there they had an experience of fishing in the fishpond. They got Bangos- ‘pangbansang isa ng pilipinas’ in native langage. This fish is called milkfish in English. They caught almost 8kg bangos, then they cooked them for their lunch. They had a lunch there with the community in Cayhagan. After that, they proceeded to Mariculom. They had an interaction again with Mariculom elementary school. 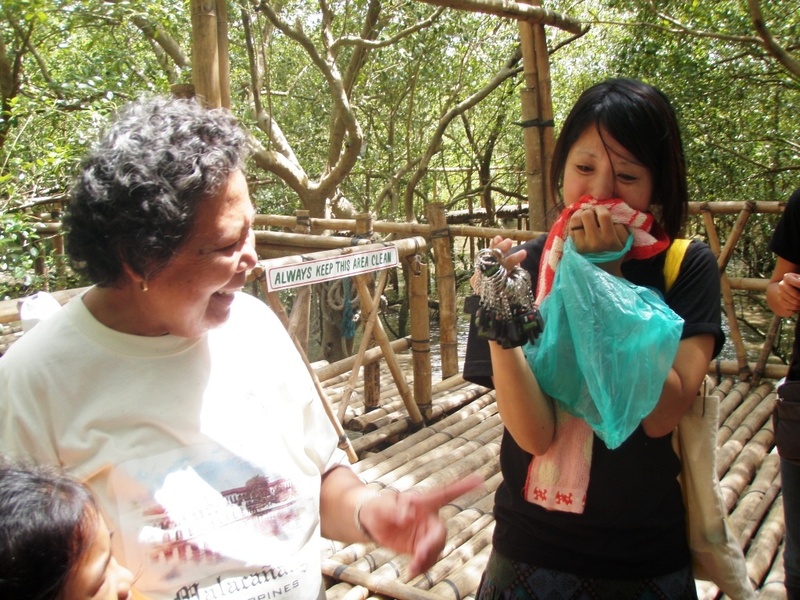 And this time, Ikaw-Ako staff gave some quiz about mangrove to the students and their parents. 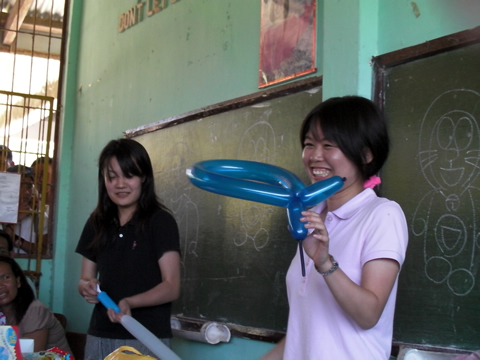 Also Japanese volunteer taught the students how to draw “Doraemon” –one of the most famous Japanese characters and how to dance “Doraemon” dance. After this interaction, all of them including the students and their parents proceeded to the planting site for mangrove planting. 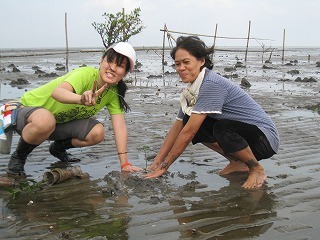 They helped to plant mangrove and clean up around the planting site. They looked enjoying and happy. 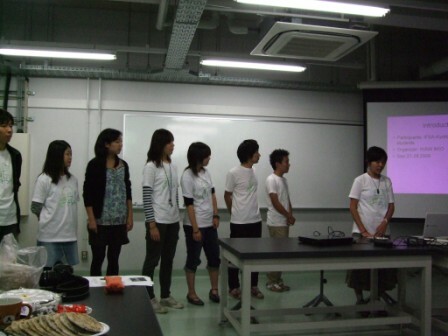 Japanese students also helped to keep the environment there. Around 6:30pm, they went back to the proper of Moriculom and proceeded to the place they stayed- Easy Diving. It was many schedule this day but they didn’t look tired and we could see their happy smiles. After taking a rest for a while, they had dinner at the restaurant of the beach owner. 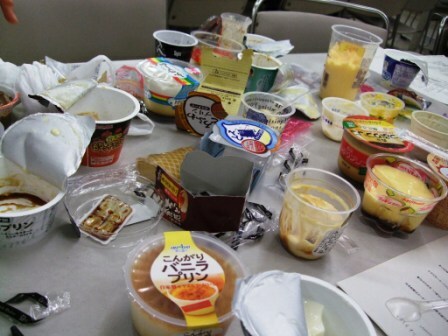 They ate a lot because they felt hungry and they used a lot of energy in traveling. 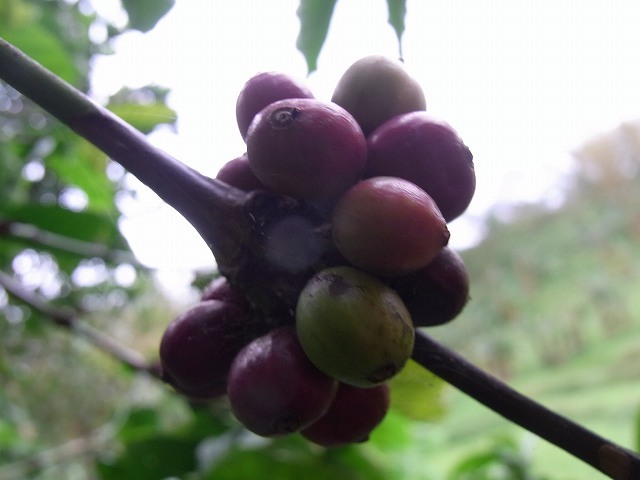 This day, they could also see the wonderful nature and rice plantation. They enjoyed so much so they exchanged their feeling during dinner. After dinner, the staff of this hotel explained them about their rules and regulations in the beach there. They went back to their room around 9pm, because they got tired very much. Today’s schedule was all about mangrove watching in Brgy. 4 in Sipalay city. After breakfast, they went diving and swimming in the sea of Easy Diving-the place they stayed last night around at 9am for around an hour. They enjoyed there too. All of them looked happy. After that, they prepared themselves and proceeded to Brgy.4 in Sipalay city to have boating to watch mangrove with Bantay Dagat. It was very good to see the mangrove that Ikaw-Ako volunteers planted before. They are growing faster and nicer. They spent almost 1 hour to watch the mangrove and cleanup the coastal area. After that they went back to the resort, they had a lunch there. Then they prepared and made tidy for their all staffs because finally they would go back to Silay city. They missed here Sipalay city because it is a very wonderful place with white beach, clear sky, and beautiful ocean. 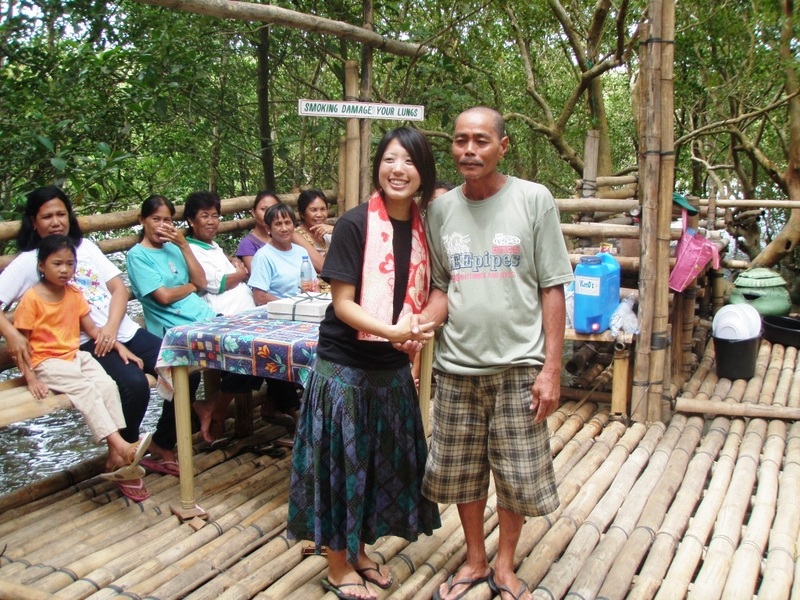 Japanese volunteers helped a lot to keep the environment in the Southern Negros Occ. 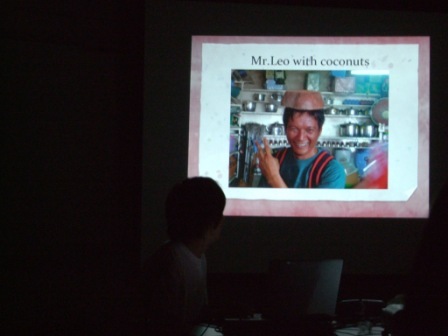 They had learned a lot about the nature of Negros Occ. And they got very amazing and unforgettable memories and experiences It took almost half a day to go back to Silay, so students enjoyed playing games in the bus. At 6:30pm, they arrived at Silay and had a dinner at Sir & Maam restaurant with other Ikaw-Ako staff. And from now, one Japanese visitor joined them. His name is Mr. Tamura. He is a Ikaw-Ako volunteer who loves Silay City. This was already his 11th visit to Silay. Then all of them enjoyed delicious food there and shared their experience. After that, they just proceeded to Baldevia Pension house to take a rest. They must have been tired because it was very long travel. Today’s program was Pagatpat Festival. This festival is held once a year in Brgy. Balaring, Silay City hosted by Ikaw-Ako. They needed to wake up early and had a breakfast at 6am. Then they proceeded to Brgy. Balaring for mangrove planting. The reason we had to go there so early was the time of the low tide. They had planted with the students from LCC, La Salle collage, the Boy Scouts of Dona Montserrat High School and others. 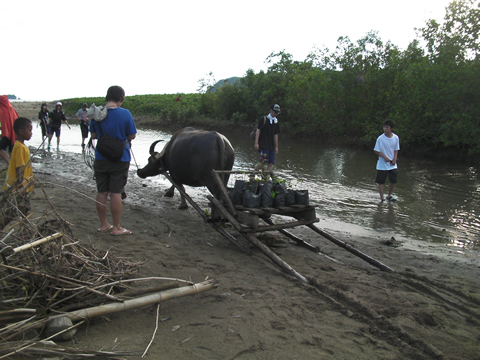 It was very tough work to plant mangrove, but they enjoyed so much so that we could see their smiles. They got a lot of new friends too. It took long time to plant, because they planted more than 2000 seedlings for one day! After planting and eating snacks, they went back to the pension for meanwhile to prepare themselves for Pagatpat Festival. Before the festival, they went back to Brgy. 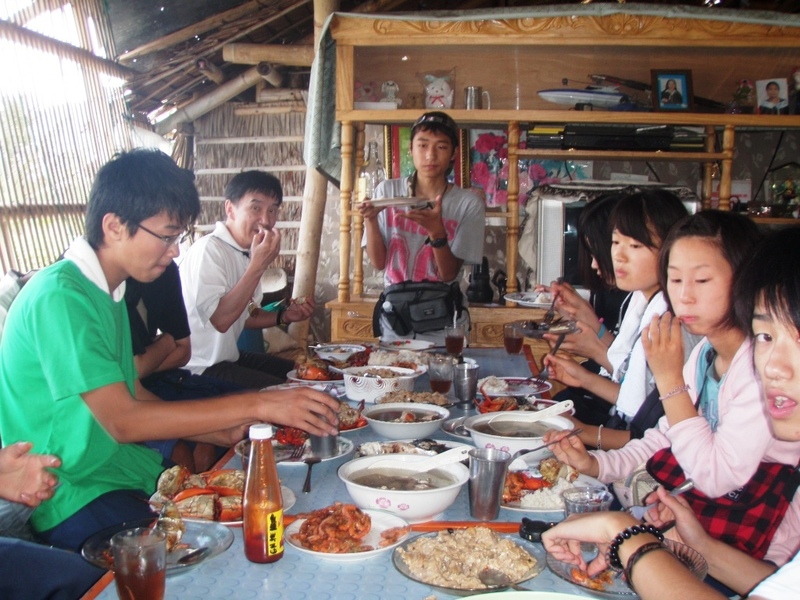 Balaring and had a lunch at Floating Restaurant with staffs. During lunch, there were a live using bamboo instruments. It was so nice. There were also a shooting about this festival. So the captain of this barangay and Ikaw-Ako staffs had interview. 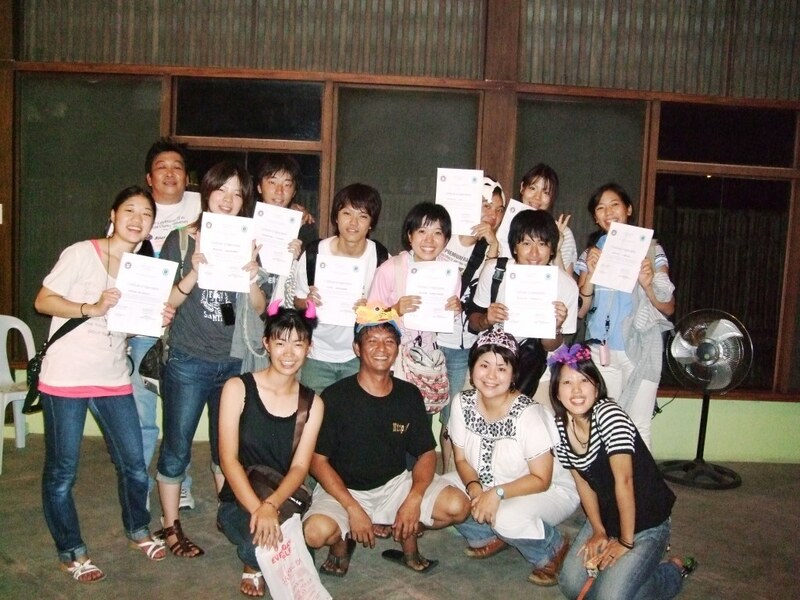 All Japanese volunteers were ready to join this festival. They looked so excited. The starting program was “Pagatpat Festival Parade Contest”. 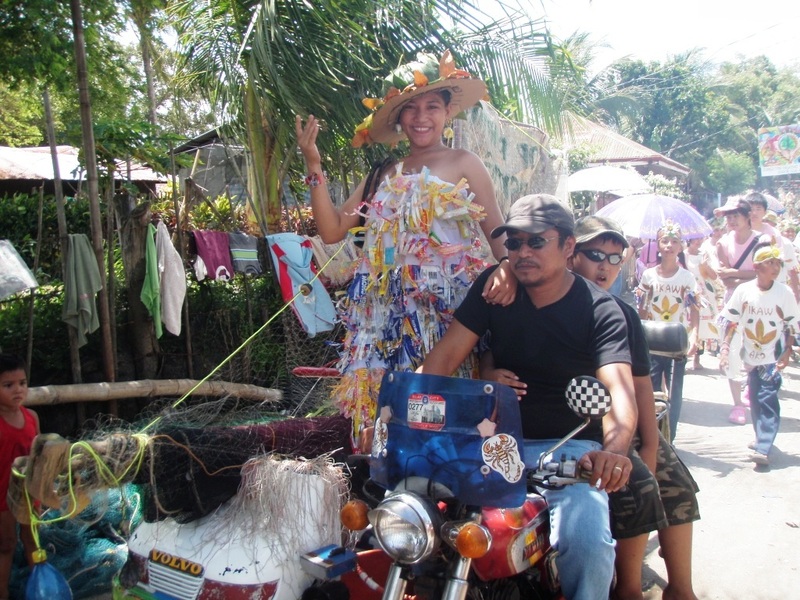 Each Purok in Balaring, Barangay counsel and BAMPA compete the decoration of the tricycle and the costume of the participants. 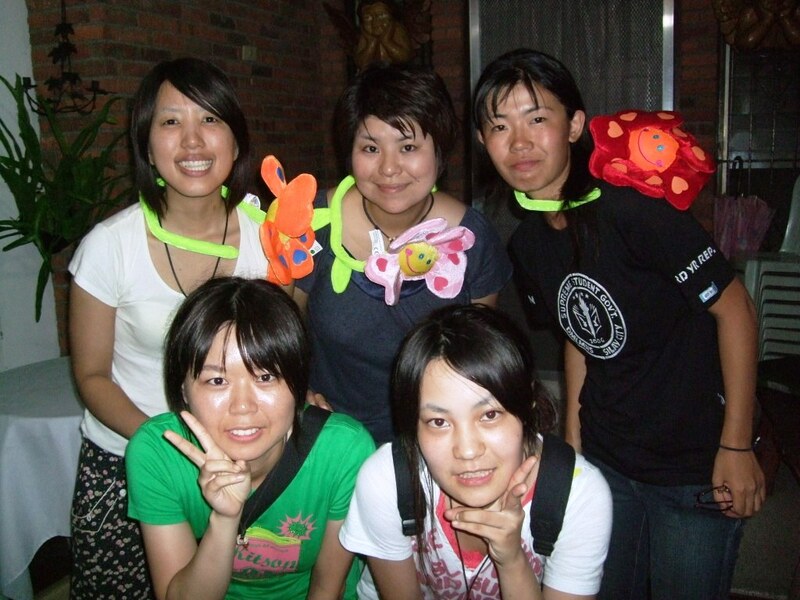 The Japanese visitors broke into the 7 groups so that they can join each group. The parade was amazing and wonderful because every group was so creative and their costume was very nice. The Parade would end in the Barangay hall, then next program started there at 2pm. 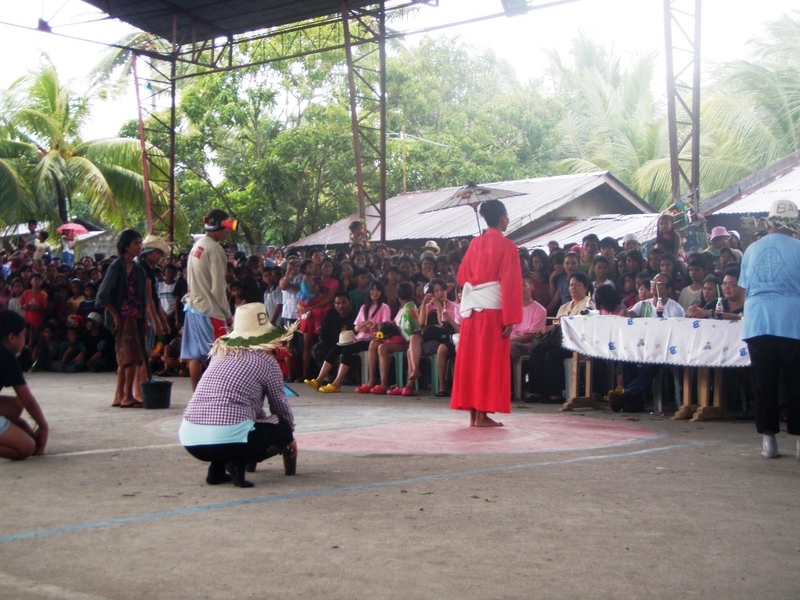 It was the “Pagatpat Drama Competition” with the theme ‘the life along the sea’. Japanese volunteers took a seat and watched these dramas. It was also was also wonderful and there were a lot of good actors. Even though they did not understand what they said in Ilonngo, they enjoyed very much with their action. All groups were so nice that it was very difficult for the judges to decide which group was the best. We think all groups could be the winner. But after all performance at 4:30pm, the award started and then continued to the closing ceremony of this festival. Hopefully all Japanese volunteers also enjoyed very much in this festival. Then they went to the other restaurant- Julie’s Talabahan- in Brgy. Balaring with all staffs of this festival. It was a birthday of Natsumi this day. She is one of the Japanese high school students. 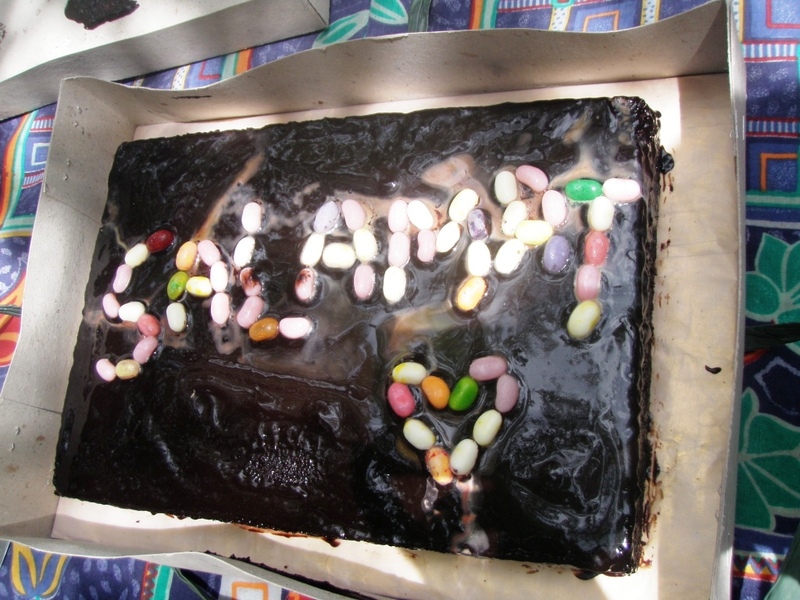 So we celebrated her with a surprise cake. Around at 9pm, they went back to the pension to take a rest with unforgettable experience of Pagatpat Festival here in Negros. It also started very early this day. Same as yesterday, they had to wake up at 6am and after breakfast, they proceeded to Brgy. Balaring to have a program for coastal cleanup. 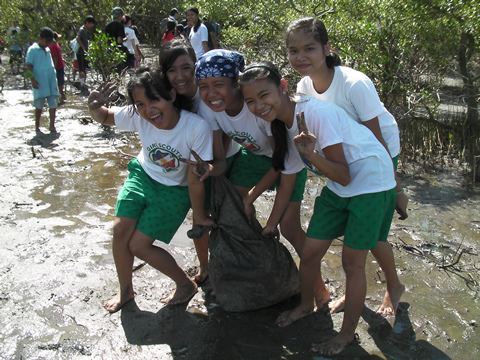 They had this program with the Girl Scouts, the students from Lantad elementary school, Bongol elementary school and BAMPA-Balaring Mangrove Planting Association. It took almost 2 hours to cleanup there. Thanks to that, the coastal area became clean and it has also good effect to grow mangrove. All of them enjoyed this program. 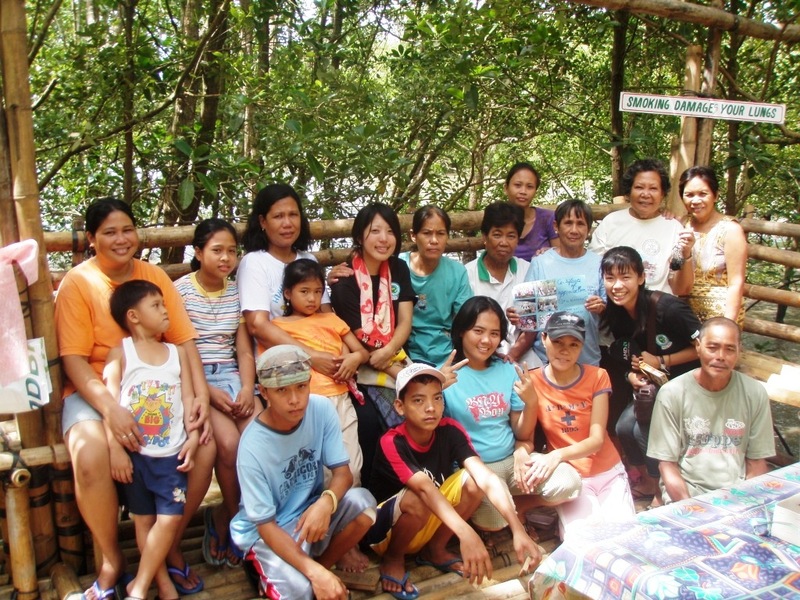 They could make new friends and helped the environment of this barangay. After cleanup, they ate snacks together and took a rest. Around 9:30am. they went back to the pension house to change clothes. Next program was to visit Talleres de Nazaret which is the place to produce recycled products with juice packs. 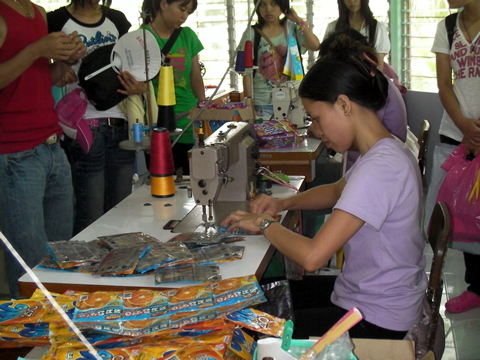 They make bags, wallets and other products with recycled juice packs. They introduced themselves each other and looked around their working place. After this visit, they had a lunch and then they proceeded to DMLMHS (Dona Montserrat Lopez Memorial High School) to have a last interaction with the students. This school was very welcome to have guests from Japan, so they gave us some presents, dance and songs. In return, Japanese volunteers also danced for them. At 3:30pm, after this interaction, they visited Ikaw-Ako office because they could buy souvenir for their family and friends. They enjoyed selecting them. There were a lot of native products and recycled bags that they saw in Talleres de Nazaret. After that, they proceeded to Robinson supermarket to buy souvenirs and native food. 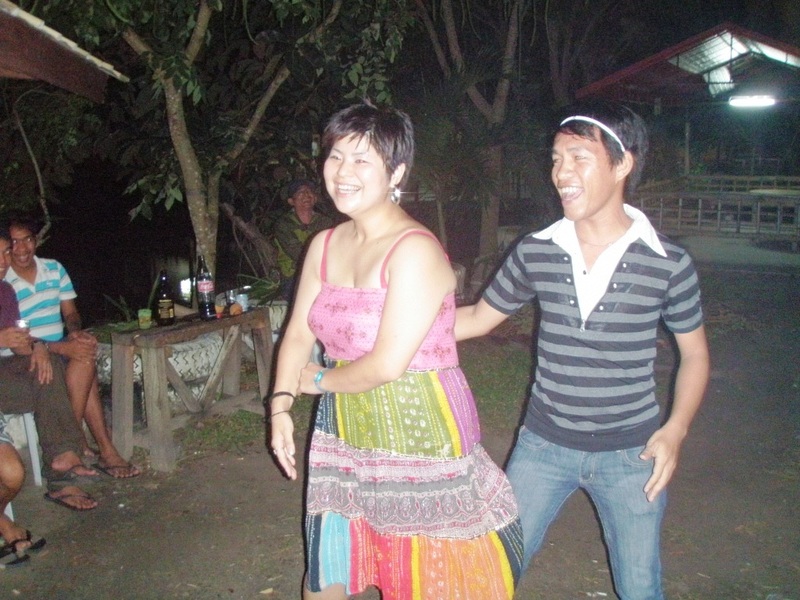 Then, they left for dinner at Melly’s garden to have dinner with all Ikaw-Ako staffs. Around 8:30pm, the closing ceremony of this tour started. All of them talked their experience in English one by one. A lot of them told us that they would not forget this experience. 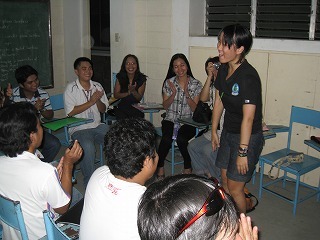 After the participants, the Ikaw-Ako staff also talked their memories of this tour one by one. We asked all participants to come back again to the Philippines and all we thanked them to give us nice memories. All Japanese volunteers of this tour were so nice and they followed our rules very much. So we really appreciate for them. The ceremony continued until late at night, maybe at 10pm. We hope they had good sleep with happy, amazing and unforgettable memories of this tour in the Negros Occ. This is the last day all about the departure for Japan. They had to get up very early to prepare all their things into their luggage because finally the day came to go back to Japan. They were all excited to go home and to see their family. They had to leave the pension house at before 6am for the airport because their boarding time is 6:35am. At the airport, some Japanese volunteers were crying for their entire miss here in the Philippines and also this beautiful nature. 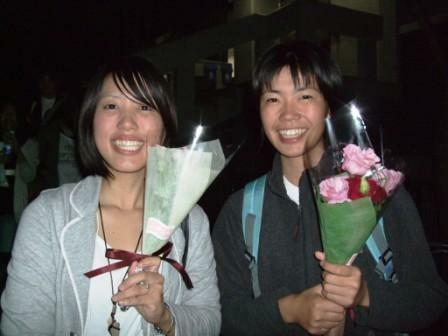 But they brought their wonderful experience and memories to Japan. We hope all of them enjoyed this tour and hope that they come back again. Thank you very much!!! 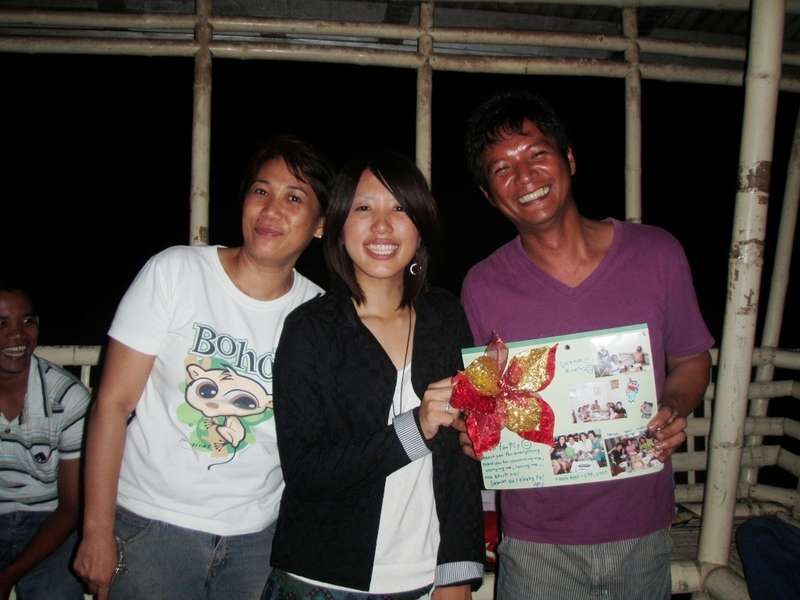 Ikaw-Ako programs help very much in the Philippines, mostly in Negros Occ. We help to care the environment with the people who live in the community. We are always open to everyone. It means not only the citizens in Negros Occ. especially in Silay city but also you from different countries. We are always welcome to visit our places here in Negros Occ. If you want to come and have a study tour, we would like to support you all the time. You can see a lot of beauty and wonder here. This is a good destination for tourists too. 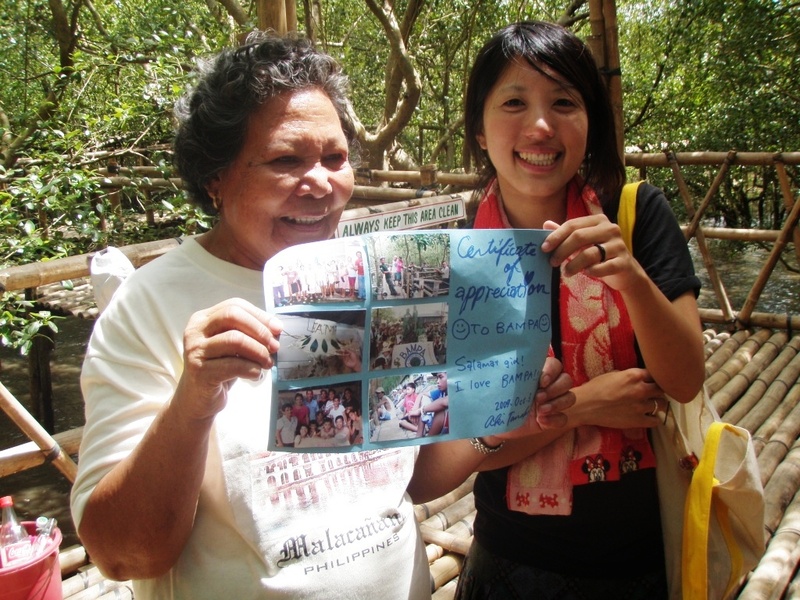 If you have time, please join our programs to help the environment of Negros Occ. We really appreciate your help. 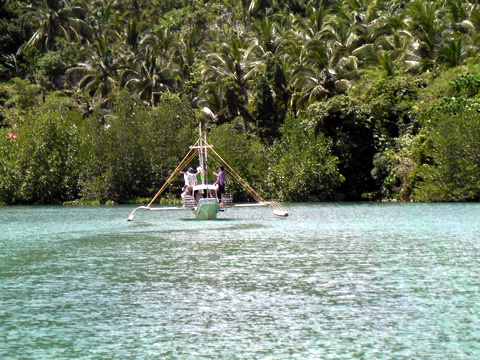 Whenever you come, we would like to help you to see the beautiful nature here in Negros Occ. 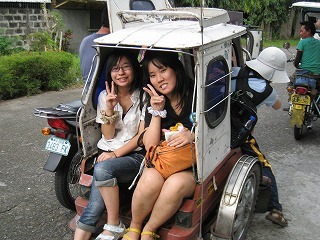 It is very easy to come to Silay city because it is very near from new Bacolod-Silay airport. Why don’t you come to Silay city? We are always welcome and are looking forward to seeing you! Anyway, did you enjoy this article about the tour? You can also experience if you join Ikaw-Ako programs! But you are already in a part of this tour in reading this.